Concerned local officials claim the prohibition on the hiring of job order and contractual employees starting next year will be detrimental to the local government’s effort to delivery quality service to the people. Councilor Joel Alangsab, chairman of the City Council Committee on Ethics, Governmental Affairs and Personnel, said local officials remain optimistic the national government will reconsider its earlier order to stop the hiring of job order and contractual workers because this will serious impact negatively in the delivery of quality service to the public. He claimed that the national government will also suffer from the consequences arising from the non-hiring of job order and contractual workers because some agencies, like the Department of Social Welfare and Development (DSWD), have thousands of job order workers that will be displaced thereby seriously affecting the implementation of the agency’s numerous programs and projects. “The local government is still in a wait-and-see situation on what developments will transpire in the national scene in the next several months before we will make a concrete action on the matter,” Councilor Alangsab stressed. In the case of the city, Alangsab pointed out that removing the job order and contractual personnel of the Public Order and Safety Division (POSD) and the police auxiliaries assigned with the Baguio City Police Office (BCPO) will definitely have a serious negative impact on the local government’s anti-illegal peddling campaign and the aggressive implementation of ordinances and maintaining the smooth flow of traffic around the central business district area. He added that the issue was already referred to the city’s Local Finance Committee for appropriate action to ensure the continuous service of the job order and contractual workers. Earlier, the Department of Finance (DOF), Department of Budget and Management (DBM) and the Civil Service Commission (CSC) issued a joint memorandum prohibiting the hiring of job order and contractual workers in the bureaucracy. Assistant Human Resource Management Officer Edith Dawaten underscored that the decision of the national government agencies to ban the hiring of job order and contractual workers will have a great impact on the operations of the local governments as current job order workers are doing a significant part of the duties and responsibilities of some offices tasked to perform frontline services to the public. “The local government is studying the best option to adopt once the national government pursues its planned ban in the hiring of job order workers. We will keep our fingers crossed that there will be a breakthrough in our on-going evaluation and assessment of the situation for us to sustain our job order workers,” Dawaten stressed. 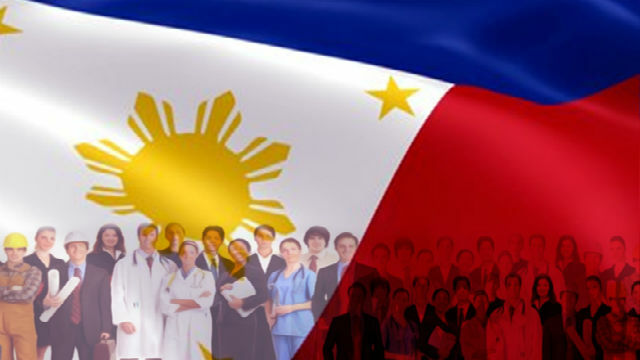 The local government will be joining the whole bureaucracy in the celebration of the 118th anniversary of the Philippine Civil Service next month.